In this striking, enormously affecting novel, Joyce Carol Oates tells the story of two very different and yet intimately linked American families. Luther Dunphy is an ardent Evangelical who envisions himself as acting out God’s will when he assassinates an abortion provider in his small Ohio town while Augustus Voorhees, the idealistic but self-regarding doctor who is killed, leaves behind a wife and children scarred and embittered by grief. In her moving, insightful portrait, Joyce Carol Oates fully inhabits the perspectives of two interwoven families whose destinies are defined by their warring convictions and squarely-but with great empathy-confronts an intractable, abiding rift in American society. 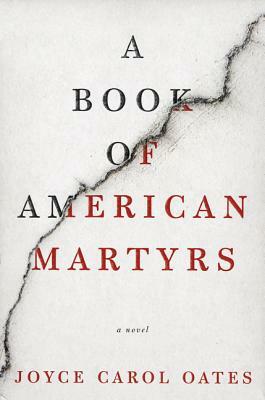 A Book of American Martyrs is a stunning, timely depiction of an issue hotly debated on a national stage but which makes itself felt most lastingly in communities torn apart by violence and hatred.